Stefania Passamonte is a international concert pianist, recording artist and entrepreneur from Italy, now based in London. Founder and owner of the International Music Academy “London Piano Masters” as well as the classical record label Master Chords Records, Stefania is voting member of the Recording Academy for the Grammy's Awards in the USA and member of the Classical Committee of the BPI for the Classic BRITS Awards in the UK. 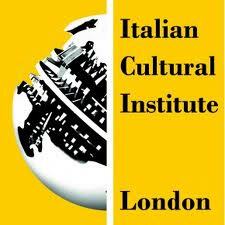 Since September 2013 Stefania is also Artistic Director of the Concert Seasons at the Italian Cultural Institute in London and was featured by the British Council 2014 global University Campaign as successful UK University Graduate and Entrepreneur (Stefania Passamonte for StudyInTheUK Campaign). After earning the Concert Recital Diploma with famous music critic Piero Rattalino at the “Santa Cecilia” International Academy in Portogruaro, Stefania gained the Postgraduate Diploma in Piano Performance at the Royal Academy of Music of London with Ian Fountain and Christopher Elton. She then completed her studies with Jacques Lagarde at the Ecole Nornale de Musique de Paris “Alfred Cortot”. Stefania has given solo recitals in the major concert halls worldwide, some of which were televised broadcasts, including “St Martin in The Fields” in London, National Philharmonic of Ukraine in Kiev, “Sala Puccini” in Milan, Palau da Musica in Valencia, Sibelius Hall in Finland, “Salle Munch” in Paris, Varna Opera Theatre in Bulgaria, Casa da Musica in Porto. Solo Concertos include the Lathi Symphony Orchestra under the baton of Ville Matjaeff, and the Varna Philharmonic Orchestra with conductor Stefano Seghedoni. Her recordings with major works by Bach, Mozart, Beethoven, Chopin, Schumann and the complete “Transcendental Studies” by Liszt released by Master Chord Records won great accalim from press and audiences. Since 2010 her new releases annually compete at the prestigious Grammy’s Awards in Los Angeles as best soloist and best album of the Classical fields, while since 2012 she is regularly invited to the red carpet of the Classic BRIT Awards in London. Stefania teaches fluently in the languages of English, French, Spanish and Italian and is devoted to research in the different styles and traditions of the Russian, French, Spanish, English, German and Italian piano techniques and interpretations. She has given masterclasses at some of the most prestigious music institution in England, Spain, Italy and France, including Royal College of Music and Guildhall School of Music and Drama in London, and the Conservatorio Moreno Torreba in Madrid, with students enrolling from France, Belgium, Japan, Italy, USA, Spain, Germany, Russia, China, Korea, Venezuela, Egypt, Bahrain, Dubai, New Zealand and Israel. 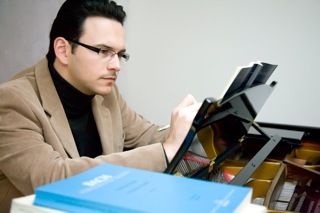 Born in Kazan (Russia), Roustem studied piano at the Kazan Conservatory, then at the Tchaikovsky Conservatory in Moscow with Elisso Virsaladze, where he received his Soloist’s Diploma. He then completed his studies with a Masters Degree at the Munich Music High School. He is prizewinner of numerous international competition, such as the Montecarlo World Piano-Masters (prize presented to him by the late Prince Rainier III of Monaco), the Busoni Competition in Bolzano (Italy), the UNISA Competition in Pretoria( South Africa), the “Géza Andà” Competition in Zurich (Switzerland), the “Marguerite Long” in Paris; First Prize in the Rome Piano competition. Roustem performs frequently with orchestras such as Royal Philharmonic Orchestra London, Monte Carlo Philharmonic Orchestra, Prague Symphony Orchestra, Sinfonia Varsovia, RAI Symphony Orchestra Torino, Tonhalle Orchestra Zurich and St-Petersburg Philharmonic Orchestra. His recitals took him in some of the most prestigious concert halls around the world (London’s Wigmore Halla and Cadogan Hall; Paris’ Théâtre du Châtelet, Salle Pleyel and Salle Gaveau; Tonhalle in Zurich, Konzerthaus in Berlin, Italy, Russia, Japan, United States, Canada, South Africa) and participated in renowned music festivals including Montreux Festival, Bologna Festival, Festival Brescia-Bergamo, Piano aux Jacobins in Toulouse, Festival de Radio France-Montpellier, Printemps des Arts de Montecarlo and Menton Festival. Roustem also performs extensively in chamber music with Jean-Jacques Kantorow, Alexander Brussilovsky, Pierre Amoyal, Dmitri Sitkovetsky, Olivier Charlier, Laurent Korcia, Xavier Phillips and Mayuko Kamio. Radio and television broadcasts include France Musique, Radio Classique, DRS 2 (Switzerland), France 2, France 5 and Mezzo in France, and the international European channel 3Sat. The French TV producer Alain Duault has twice devoted his one-hour show on France 3 ‘Toute la Musique qu’ils aiment’ to Roustem Saitkoulov. His CD recordings include albums released by EMI Classics and Dinemec Classics. Roberto Cani launched his concert career when he won the prestigious Paganini International Competition in Genoa at the age of 21. In the same year, he won the Courcillon International Competition in France, and the Jeunesses Musicales International Competition in Belgrade, where he also captured a special prize for the best performance of a contemporary work. He also won the national Minetti Prize in Italy, and top honors at the Tchaikovsky International Competition in Moscow. In addition to his native Italy, Roberto Cani concertizes throughout the United States as well as Germany, Belgium, Austria, Spain, Russia, Croatia, Poland, Serbia, France, Taiwan, Japan, and South Africa. He is a frequent soloist with orchestras and has performed, most notably, with the Moscow Philharmonic, La Scala Orchestra, RAI Symphony (Italy), Haydn Orchestra of Bolzano, Orchestra Cantelli, Belgrade Orchestra, Zagreb Orchestra, and Missouri Chamber Orchestra. Roberto Cani has performed in major music halls worldwide including Los Angeles’ Royce Hall, Belgrade’s Lisinski Hall, Milan’s La Scala, Paris’ Gaveau Hall, Tokyo’s Suntori Hall, and Moscow’s Bolshoi Zal and Tchaikovsky Zal. 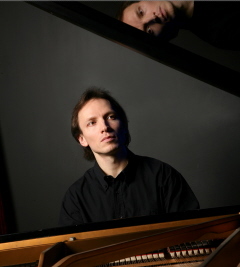 German born concert pianist and piano teacher, Jan Loeffler graduated from the ‘Hochschule für Musik Würzburg’ in Piano Pedagogy and in Piano Performance. He then completed a Master Degree in Piano and and LRAM teaching licentiate at Royal Academy of Music of London under the guidance of Ian Fountain. He is the author of two dissertations: The Teaching of Excellence - Investigating the Role of the Teacher (Royal Academy of Music London, 2009), and Expert Learning - The Neuro-Scientific Approach to Expertise (Hochschule für Musik Würzburg, Germany, 2005). Jan has participated in masterclasses with Christopher Elton, Andrzej Jasiński, John O’Conor, Iván Klánsky, Pascal Devoyon, Josef Anton Scherrer, Nikita Jushanin, Renate Kretschmar-Fischer, Thomas Stumpf, and the piano duos Hans- Peter & Volker Stenzl and Andreas Grau & Götz Schumacher. Performances of piano concertos, solo piano and chamber music haven taken him to countries such as Germany, England, France, Hungary, the USA and Italy and he collaborated with conductors such as Radoslaw Szulc (Beethoven 3rd piano concerto) and Owen Leech (Beethoven 4th piano concerto) and orchestras including the Camerata Europeana, the Helios Chamber Orchestra and the Kurpfalzphilharmonie Heidelberg (Brahms 1st piano concerto). An active teacher and performer in the UK and overseas, Jan currently holds permanent teaching posts at the Birmingham Conservatoire, where he teaches first study pianists, predominantly on the Master of Music course, as well as at Radley College and Stowe School. Jan has given masterclasses at Vanderbilt University (USA), Lipscomb University (USA), Pepperdine University (USA) and at the National Young Pianists’ Week at Uppingham School and held teaching posts at Junior Guildhall School of Music and Drama and Junior Royal Conservatoire of Scotland. Of Croatian descent, Cecilia Radic is one of the most appreciated Italian cellists of her generation. She performed with musicians such as Salvatore Accardo, Isabelle Faust , David Finckel, Marco Rizzi, Rainer Kussmaul, Bruno Canino, Jennifer Frautschi, Bruno Giuranna, Laura De Fusco, Massimo Quarta, Wu Han. 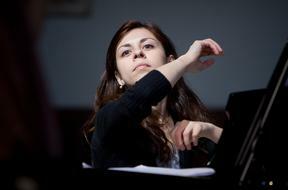 She currently plays in the Accardo Quartett and is co-founder of Estrio (piano trio). 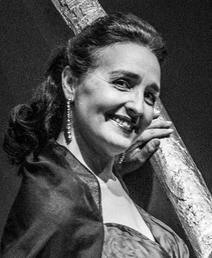 Cecilia Radic has been featured in various television and radio broadcasts, and has recorded CDs for various labels, including RAI (Italy’s national broadcasting corporation), DECCA, Chandos, Stradivarius, Sipario and Foné (a CD with Estrio and as soloist with Salvatore Accardo and The Italian Chamber Orchestra). 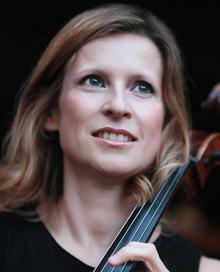 As principal cello she has been working with the Italian Chamber Orchestra (Orchestra da Camera Italiana) since 1999. She has performed in the same role with I Solisti Filarmonici Italiani (both baroque and modern style, 2002-2012), Teatro La Fenice of Venice, Turin Teatro Regio, San Carlo Theatre in Naples and Teatro Regio in Parma. She plays an 1837 Bernardel cello. She is cello professor at the Pavia Conservatory of music. South African cellist and conductor Bjorn Bantock has an extensive performance schedule. He has performed in Chile, Argentina, Brazil, China, South Africa, Denmark, Germany, Italy, Russia, Malta, Ireland and the UK. Some of his recent engagements include the Clare Memory Orchestra, the Cape Town Philharmonic Orchestra, the Philharmonia Choir of Cape Town, the European Bienniale in Naples, the Svanker Music Festival, the International String Orchestra Festival in Malta and the Open Strings Festival in Denmark. Bjorn is also the principal conductor of the St Albans Symphony Orchestra, the London Medical Orchestra, the Europa Ensemble, London Chamber Strings, Hertfordshire Philharmonia, the Guildhall School of Music and Drama, the London Contemporary Dance School, the National Children’s Orchestra of Great Britain and the Film Score Spectacular Orchestra. Bjorn has recently accepted the role of principal conductor for the Clare Memory Orchestra working along side award winning composer Dave Flynn and collaborating with some of Ireland’s leading musicians. He studied with Colin Metters at the Royal Academy of Music in London. He has won numerous prizes, bursaries and scholarships including first prize in the Sir John Barbirolli competition, RNCM Contemporary Music Performance Prize and a Full International ABRSM Scholarship. Bjorn is musical executive for the Sir Granville Bantock Society and has recorded and produced CD’s for the Kingsway Record label. Marco Fatichenti was born in Italy to parents of Italian and Spanish heritage. After receiving his Diploma at the Rossini Conservatoire in Pesaro, Italy, he moved to the United States to continue his studies in the class of eminent pianist Joaquin Achucarro at the Southern Methodist University, Dallas. At this institution, by the age of twenty-one, he completed an Artist Certificate program and consequently a Master of Music in Piano Performance. In 2002 Marco was granted a full scholarship to attend the Royal Academy of Music to study with Professor Christopher Elton. Having been a recipient for two consecutive years of the Myra Hess Scholarship, presented by the Musicians Benevolent Fund, and of a prestigious grant by the George Solti Foundation, Marco finished his formal studies receiving the highly coveted DipRAM award. A keen performer both as recitalist and chamber musician, Marco has performed in some of the most prestigious venues across Europe and the United States, including the Auditorio Nacional de Musica in Madrid, the Teatro Arriaga in Bilbao, the Auditori in Barcelona, the National Concert Hall in Dublin and Birmingham’s Symphony Hall. Recent highlights include an invitation by the Italian Minister for Foreign Affairs to perform at the EXPO in Saragozza, performing on the revolutionary instrument Fazioli ‘Onda’, his debut at Wigmore Hall collaborating with the Pavao String Quartet and a chamber recital in the Palau de la Musica in Valencia. His performances have been recorded and broadcasted by the Spanish RTVE, Irish RTE, Polskie Radio and several times by the BBC, including a live appearance in the program ‘In tune’ presented by Sean Rafferty. Marco has also released two albums under the Jaques Samuel label, which have received roaring press reviews as well as a great success among the public. In the past few years Marco has become a very sought after teacher and lecturer, being invited to hold annual masterclasses at the prestigious National Young Pianists’ Week of the Uppingham School and at the worldwide renown Royal College of Music and Guildhall School of Music and Drama in London for the London Piano Masters European Summer Masterclasses. 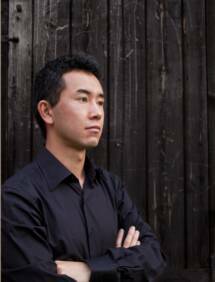 Born in Japan, Hiroaki Takenouchi came to London to study piano with Yonty Solomon and Andrew Ball, composition with Edwin Roxburgh and fortepiano with David Ward at the Royal College of Music. On completion of his studies, he received the RCM’s The Queen Elizabeth The Queen Mother Rosebowl presented by HRH The Prince of Wales. From 2007 to 2009, he was a Constant & Kit Lambert Junior Fellow (RCM) supported by the Worshipful Company of Musicians. 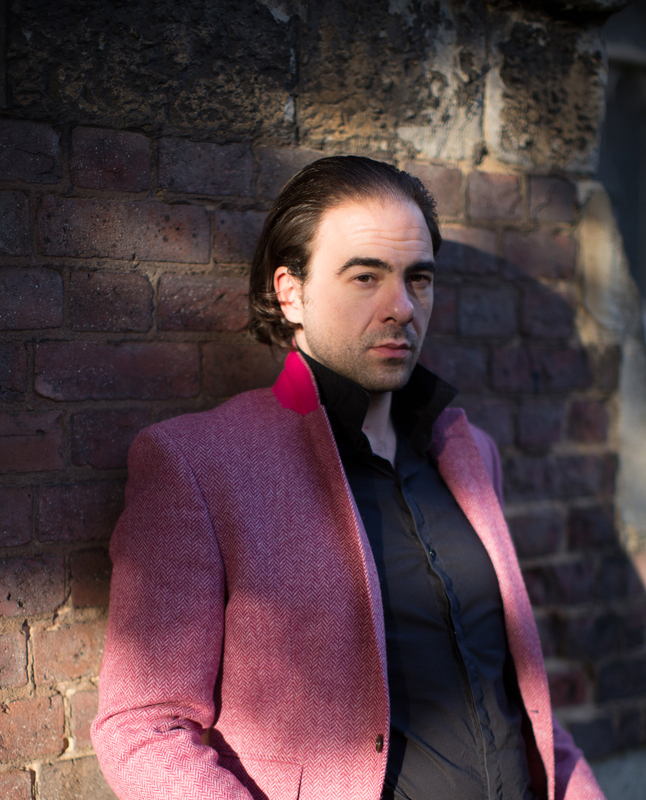 As a soloist, he has appeared on many concert platforms including the Wigmore Hall, Tokyo Opera City, the South Bank Centre, the Fairfield Halls, Hamburg Laeiszhalle and Steinway Halls in London, Hamburg and Tokyo. He has also performed at festivals in Bath, Cheltenham and Salzburg and has given recitals in the UK, Japan, Austria, Germany, Portugal and Italy. He is an active chamber musician in an extensive range of work, working with such eminent artists as Raphael Wallfisch and Tara Helen O’Connor. In the summer of 2010, he returned to join the summer masterclass at the Banff Centre (Canada) as a collaborative pianist, and gave piano masterclasses at the Poros International Piano Academy, Greece. In 2010, he appeared for the second time in the Husum “Rarities of Piano Repertoire” Festival in Germany to great critical acclaim. 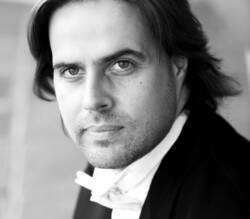 He was featured as a pianist on a BBC4 documentary on Sir Hubert Parry, The Prince and the Composer in May 2011. Takenouchi’s discography includes the world première recordings of works by James Dillon (with Noriko Kawai, NMC), Edwin Roxburgh (NMC) and Jeremy Dale Roberts (LORELT), as well as a debut solo CD Cosmos Haptic: Contemporary Piano Music from Japan (LORELT), and most recently Husum Festival Highlights 2011 (Danacord). In 2011 he will record two further CDs, firstly Delius’s orchestral works arranged for two pianos by various contemporaries (Somm Records), and piano concertos by Sherwood, Catoire and Collingwood with the Royal Scottish National Orchestra (Dutton Epoch). Takenouchi has worked with many leading musicians such as Pierre-Laurent Aimard, Emanuel Ax, Imogen Cooper, Elisabeth Leonskaja, Robert Levin, Sir Roger Norrington and Howard Shelley. Born and raised in Modena, Stefano earned a Composition Degree with honours from his hometown Conservatoire “O.Vecchi” and a Conducting Degree from the “Martini” Conservatory in Bologna under the guidance of Giancarlo Andretta, Cristina Landuzzi, Maurizio Ferrari, Paolo Arrivabeni, G. Indulti, G.Petrassi, A. Solbiati, A. Guarneri, F. Donatoni, E. Morricone, C. F. Cillario. As a Conductor, Stefano performed in many theaters worldwide, including the Concert Hall of “Seoul Arts Center”, and Opera House of Seoul, Tchaikovsky Concert Hall in Moscow, Varna Opera House, De la Mar Theater in Amsterdam, Rotterdam Opera House, Philharmonic Hall in Kharkov [Ukraine], the Marseille National Theatre [France] and the O2 in Dublin. Stefano collaborated has guest conductor and principal conductor with the Seoul Philharmonic Orchestra, the Brest Regional Philharmonic Orchestra (Belarus), Vojvodina Symphonic Orchestra (Serbia), Orchestra and Chorus of Serbian National Theater (Novi Sad), Orchestra of Kharkov Opera Theater (Ukraine), Kharkov Philharmonic Orchestra (Ukraine), Orchestra da Camera del Teatro Comunale di Modena, Orchestra Sinfonica dell'Emilia Romagna “Arturo Toscanini”, Orchestra Sinfonica “G. Rossini” di Pesaro, Orchestra Sinfonica Regionale della Valle d'Aosta, I Solisti di Perugia, I Musici di Parma, Nice Philharmonic Orchestra (Principauté de Monaco) among the others. Stefano made his conducting debut in 2003 at the “Luciano Pavarotti” Theatre for the world premiere of “La famosa invasione degli orsi in Sicilia” by Marco Biscarini. Since then he has been praised for his interpretation of Verdi’s Operas, as well as for the Italian premiere of Szymanowski’s “Mandragora” and for his large symphonic repertoire. A successful tour of “Il Barbiere di Siviglia” with the Toscanini Symphonic Orchestra in 2006, open a solid collaboration with this prestigious orchestra. His international debut came in 2008 at the Concert Hall of “Seoul’s arts Center” in South Korea. Since then Stefano was appointed musical director of “Compagnia d’opera italiana”, conducting productions of Aida, Nabucco, Carmen and Rigoletto in Germany, followed by his debut in Ireland and Great Britain and a continuous collaboration with the orchestras of South Korea, Russia and Bulgaria. As Composer, Stefano received praise and acknowledgements in important festivals and competitions for his operas “La corista” (1990 Marseille National Theater), Una Storia da raccontare (2001 Teatro Sperimentale, Ancona), Alice (2005 Teatro Piccolo Regio, Torino). In 2005 he was committed by Regional Orchestra of Val d’Aosta to compose a “Gloria” for baritone, Choir and Orchestra to celebrate the 60th region anniversary. The Serbian string quartet TAJJ requested him a piece to be performed in their 2006 Italian tour, released in Autumn 2006 in the live CD recorded by TAJJ during the tour. In 2010 opera “Gelsomino nel paese dei bugiardi”, won the first prize at “Fedora competition” in Verbania (Italy) and was premiered by Marco Boni with the “Orchestra del Teatro Regio di Parma”. In 2011 the Korean “Bravura Concert Society” has requested him to write a new composition performed by “Prime Philharmonic Orchestra” during a concert broadcasted by “Arte Television”. In December 2014 Stefano premiered his new symphonic work “The Gardener” at the “Pavarotti” Theatre in Modena for the 150 Years of his hometown Conservatoire. Since 2014 Stefano is Permanent Guest Conductor at the Varna Opera Theatre in Bulgaria. Bruna Baglioni made her stage debut at the Festival dei Due Mondi of Spoleto in Boris Goudunov, soon afterwards she was in Bologna in a big production of La Favorita starring with Luciano Pavarotti. This Opera introduced her to the most important Opera Houses Worldwide, including La Scala of Milan, the Opera Theatre in Rome, the Fenice Theatre in Venice, the San Carlo Theatre in Naples, the Regio Theatre in Turin, the Arena of Verona,;the Opera Bastille in Paris, the Metropolitan Opera of New York, the Covent Garden of London, Wiener StaatsOper, Bayerische StaatsOper in Munich, Deutsche Oper Berlin among the others. 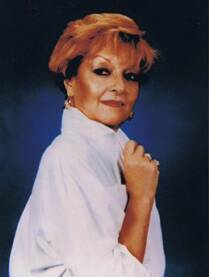 Bruna Baglioni is particularly identified with the role of Amneris in the Aida of Verdi, a role she has sung in virtually every important Theatre across the globe. Her portrayls of Verdiàs, of the "Verismo", of the Bel canto heroines are equally acclaimed. She has been conducted by the most internationally renown conductors as Gui, Gavazzeni, Patanè, Abbado, Molinari-Pradelli, Levine, Santi, Sinopoli, Metha, Oren, Fourniller, Luisi, Haithink, Conlon and Luisotti. Bruna recorded a DVD of Don Carlo for the Covent Garden; a DVD of Nabucco and Aida for the Arena of Verona; a CD of La Gioconda for the Metropolitan Opera. Bruna Baglioni is currently dedicating her art to teaching the vocal technique, scores and scenic interpretation in Accademies and Master Classes in Italy U.S.A., Brazil, Germany, Bulgaria, Corea, Japan, China, Turkey. Since 2013 she is singing professor at "Cantiere Lirico on Pietro Mascagni" at Teatro Goldoni of Livorno and for the masterclasses “La Festa dell’Opera” organized by Teatro Grande di Brescia ( September 2015). She is often in jury of international Competition: Maria Callas international Competition of Sao Paulo and Jacarei in Brazil, Martinelli Pertile of Montagnana in Padova, Elena Nicolai Competition in Bulgaria, casting at Rosetum in Milano, casting for Aida at the l'Istituto Internazionale dell'Opera e la Poesia and Fondazione Arena di Verona. Petra studied at the Academy of Early Music in Brno where she received a scholarship to study at the University of Salzburg. She then moved to England to study harpsichord with James Johnstone at Trinity College of Music where in 2010 and 2011 obtained a Scholarship for BMus study from Trinity College of Music. She was also awarded by Raymond Russel Prize for 2010 and 2011. In the same year she completed her undergraduate degree. Petra also studied with Maggie Cole (harpsichord) and Steven Devine (fortepiano). As an active harpsichordist, she was involved in various projects at London Handel Festival 2011, Handel House concert series 2009/2010 and Greenwich Early Music Festival 2009 - 2011. She is engaged with musical accompaniment at Trinity College of Music and Trinity Baroque Orchestra, where she worked on Handel operas Rinaldo and Giustino. Recently she was appointed at the Shalford Choral Society for Winter/Spring 2013 period. Petra also appears as a soloist and a chamber musician with Battaglia Baroque Ensemble and The Amadé Players. Recent performance included the third Brandenburg concerto by Bach at St. Martin in the Fields. Not only historical performance but also performing of contemporary music for period instruments belong to her interests and has premiered works by composers such as Stephen Montague, Sivan Shenhav, Effy Efthymiou, Caroline Heslop and Karel Janovický.